R. (cf. 2) Our help is from the Lord, who made heaven and earth. It was the fifth day of weeklong beach vacation. Tempers were short, the walls were closing in, and a hurricane was pushing us to pack a day earlier than planned and evacuate ahead of torrential wind and rain. All in all, the perfect setting for a classic vacation fight. So we had one. And I pushed and pulled it into its biggest version yet. That’s how I found myself outside in the wind as the rain started to spit, crying and looking at an ominous but awesome sky. That’s how I found myself saying right out loud and rather boldly absolutely every prayer of petition I’d held in my heart for the last two years: just one big tired torrent of pleas. And please. Please, God, please. And in the days since that plaintive wail into gusts off the ocean, God has moved with such might and majesty that I’m nearly speechless. Why do we wait so long to ask? Why can’t we be the widow from today’s Gospel reading who asks and then asks again? And again. And again. She asks over and over because she knows that He hears her and she believes He will answer her. Further, she has faith that He will give her everything she needs exactly when she needs it. And He does. I think that often we don’t have what we want because deep down, we don’t believe that we deserve or will be granted our desires, so we just don’t ask. When we don’t ask, we shut down the dialogue before it can happen. When we don’t ask, we don’t give God the chance to answer. Asking is bold because asking invites God into the places of hearts where desire lives and lets Him shine light there. 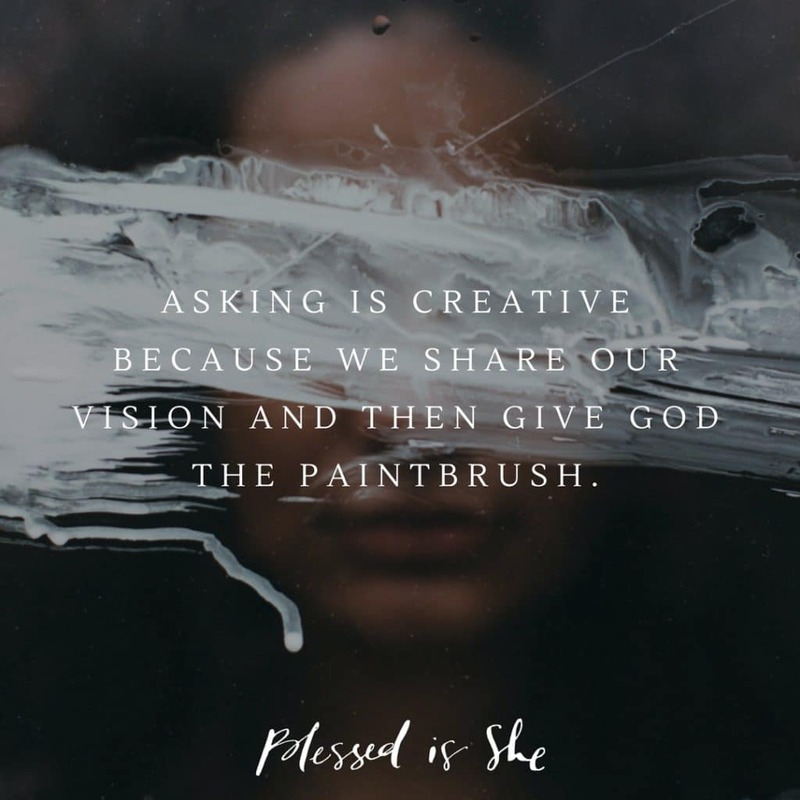 Asking is creative because we share our vision and then give God the paintbrush. Asking makes us vulnerable and opens us to the possibilities of a Lord who can give so much more than we can imagine. What desires stir your heart but never reach your lips? Whisper them aloud to the Lord, better yet, go outside and shout them into the wind. Then listen. Listen hard. Finally, patiently watch what He does and be amazed.